We are highly acclaimed in the industry for manufacturing, exporting and supplying an optimum quality range of Radiators Locomotives. - Installed in locomotives to transfer thermal energy from one medium to another for the purpose of cooling. We are supplier, manufacturer and exporter of wide range of Locomotive Components. These are made from superior quality raw material and are available in different sizes and shapes. Scalable for installation of additional sub-systems in future for ‘New Driver Cabs’ or ‘Modernization of Old Vehicles’, driver consoles are designed to suit the vehicle design and to improve the driver's safety, comfort and effectiveness. Material Grade: AS PER P.O. Fabricated box like structure made of Sheet and Rolled Section. Used for carrying sand in locomotive. Apart from above major items our product range for locomotive cover many others as ordered by our different customers time to time. This is a composite test rack where all the WABCO Brake Valves can be tested by using separate test plates for individual Brake Valves. - The name for the group company ‘alicon’ is coined from the words ‘aluminum’ and ‘ikon’’. alicon is a conglomerate that reflects a group of companies coming together to form a large, trusted and respectable entity with the vision and passion to go with it. A huge range of Locomotive Components are offered by us to customers. The offered Locomotive Components are available in the market in various specifications and one can purchase these products at market leading rates. 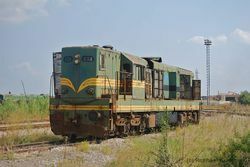 Locomotive Components are extensively used in electric locomotive traction. 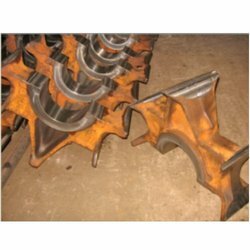 We are engaged in manufacturing and supplier a wide range of products like locomotive components. Locomotive, metro & EMU wheel set (with fittings and assemblies). We are capable to offer wheel sets for locomotives, metros, EMUS with all fittings and sub assemblies such as suspension / braking systems mounted.